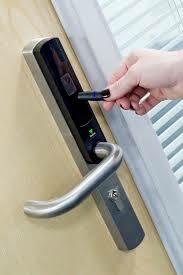 A keyless entry system installation in Windsor Colorado is only a phone call away. Call the security system installation company that’s local to Windsor. Located in Loveland Colorado, Commercial Access Systems (CAS) has been installing electronic security hardware and keyless entry systems since 1994. CAS has been preforming locksmithing and (un-electrified) door hardware since 1972. Call the security system company that will get the job done right.